TISA Description of the Problem: 99 out of 100 times, I find that the best way to raise the topic of suicidal ideation is in a sensitive, direct, and unambiguous fashion. One of my favorite ways is to use a type of question called a â€œshame attenuationâ€ which I described for the first time in the book Psychiatric Interviewing: the Art of Understanding. 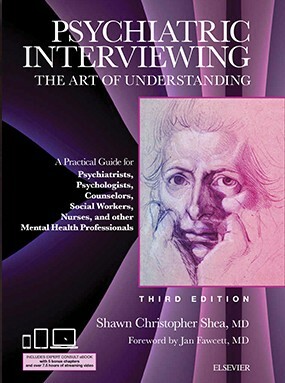 When applied to sensitively raising the topic of suicide, it allows the interviewer to cue directly off of the clientâ€™s pain in a naturalistic fashion as, â€œWith all of your pain, have you been having any thoughts of killing yourself?â€ In the following clinical interviewing tip from a recent workshop participant in a week-long series of pod trainings on the CASE Approach in New Jersey, a nice way of raising the topic of suicide, in an indirect fashion, was given to me. It is nice to have this interviewing technique in ones â€œtool kitâ€ for use in specific occasions as outlined below. TISA Follow-up: This is a nice way of subtly raising the topic of suicidal ideation. Seldom do I need to use an indirect technique, but when I do, this specific question is useful and can help preserve a fragile therapeutic alliance. Keep in mind, that if this indirect question does not result in the topic of suicide being discussed, in my opinion the clinician must follow-up with a direct method as described above.